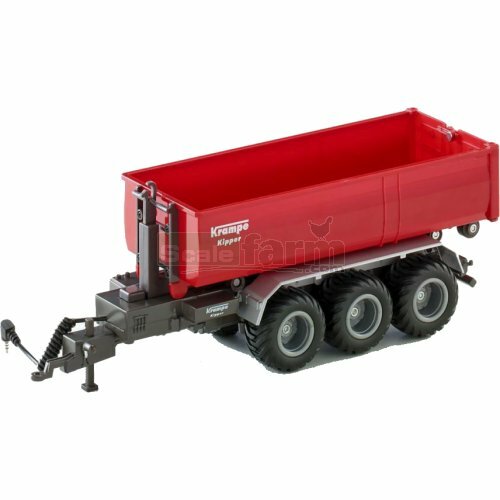 Remote controlled Krampe 3-axle hooklift trailer with 2 servo motors controlling hooklift roll-off loading and un-loading function. Centre opening tailgate, works with a load of up to 300 grammes, brake and indicator lights. Suitable for all SikuControl tractor models (infrared and radio-controlled), connects to tractor models using the supplied data cable.